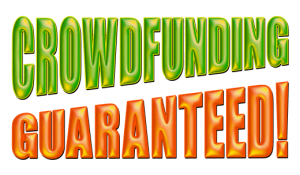 Now that you have joined Crowdfunding Guaranteed, what do you do next? The first thing you need to do is log in to your back office and pay the $29 contribution to activate your account. While you are waiting for your contribution to be processed, go to My Account in the menu on the left side of the screen, and click on Profile. I highly recommend you upload a nice business-like photo for your profile. A shoulder and head shot is preferred, rather than a full body image. People like to see who they are doing business with. Fill in ALL of your information, including the method you want to use when it comes time to withdraw your funds. For now, the only choices are PayPal and GooglePay; however, other methods are being looked at. If you do not have accounts at PayPal or GooglePay, contact me. All is not lost. Until you get your bearings on where you are headed with Crowdfunding Guaranteed, DO NOT remove any of the contributions you receive. The contribution for the first 3 months was free, but the $29 for every 3 months after that will come from your accumulation of contributions, as well as higher amounts as you move into higher levels of the program. Yes, as with any BUSINESS, you cannot grow if no one knows you are there. It does no good to build a store and stock it with millions of dollars of merchandise if no one knows you are there. No sales = no growth. The same applies with Crowdfunding Guaranteed. As soon as you fund your account, you are on the SILVER level. For each person you refer, YOU and YOUR SPONSOR both receive a contribution of $12.50 each. To advance to the next level (GOLD), you need 6 people; 2 on the inner circle and 4 on the outer circle. They could all be referred by you, OR some by you and some by your upline. AT LEAST TWO MUST BE REFERRED BY YOU before you can advance to GOLD. If you have not already viewed this video, Mark Hamlin does an excellent job of explaining “The Big Picture” in his video. Take a few minutes and watch it. How do you promote your affiliate link? I advertise through a variety of sources. Instead of advertising my CG affiliate link directly, I advertise the link to my “campaign funnel”. The funnel begins with the lead capture page where, after you enter your name and email address, you began receiving a short series of emails telling you about Crowdfunding Guaranteed. The lead capture page redirects you to the bridge page so you can view the video to get more information (the video) about Crowdfunding Guaranteed. The bridge page takes you to the Crowdfunding Guaranteed website where you click on the JOIN button to create your own account. How can you set up your own funnel to promote Crowdfunding Guaranteed? I use a program called The Conversion Pros (TCP). Of all of the autoresponder systems I have used over the years, TCP is by far the easiest I have used. CLICK HERE to find out more about it and to take TCP for a test drive. Once you have your own TCP account, you can enter my Share Codes for the landing/bridge pages and emails to copy them into your account. Then you make a few edits to replace my info for yours, and they are ready for you to use.